The European Quiz of Money is held for the first time in our country, with over 3,000 children from primary and secondary schools taking part. Its main goal is financial education for young people from 13 to 15 years. The initiator of this competition in the country is the Macedonian Banking Association, which organizes the quiz in cooperation with the National Bank, the Ministry of Education and Science and the Securities and Exchange Commission. Marko Ingilizov and Victoria Panova will represent our country at the final of the European Quiz of Money, which will be held on May 7 this year in Brussels, Belgium. 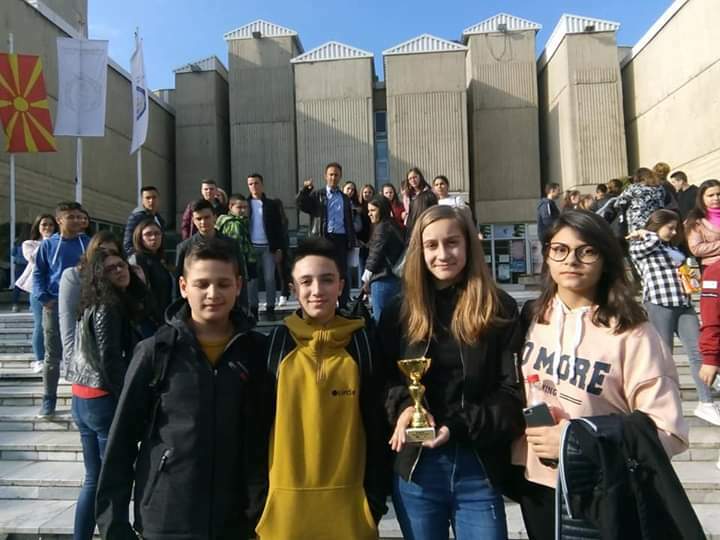 The two of the high school "Koco Racin" from Veles had the best results at the national finals, held today at the Faculty of Economics at the University "Ss. 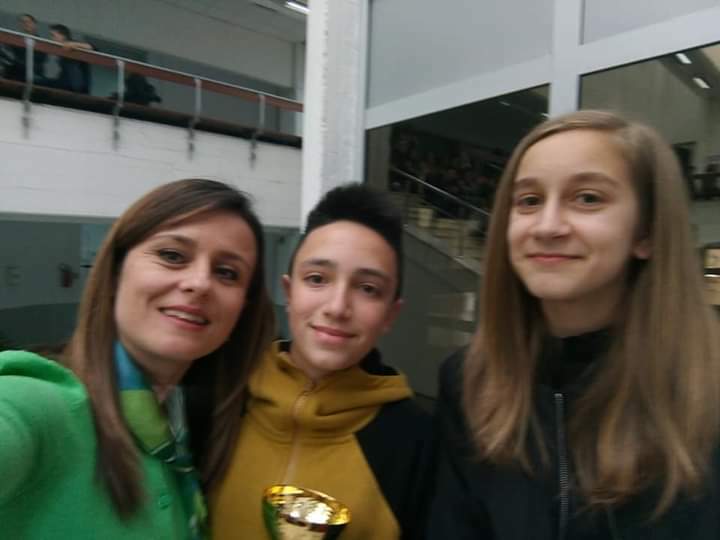 Cyril and Methodius "in Skopje, in the competition of their peers from all over the country. 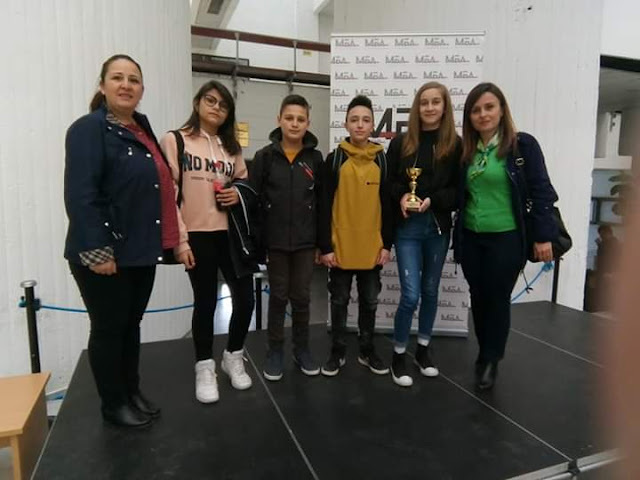 Second place was won by Maria Stojanoska and Dimitar Dukoski from "Blaze Koneski" Elementary school in Prilep, and third place were Petar Zivkovic and Marija Korunovska from "Elpida Karamandi" from Bitola. Вториот тим- Даниел Димовски и Бојана Ѓоршевска постигнаа исто така голем успех со освојување на 6-то место. ОУ,,Елпида Караманди“- Битола посебно се гордее со вакви високи постигања на наши ученици со поддршка на своите наставници. The second team - Daniel Dimovski and Bojana Gjorsevska - also achieved great success by winning the 6th place. 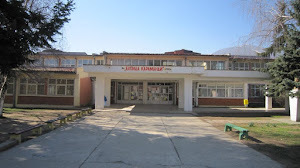 The Primary School "Elpida Karamandi" - Bitola is especially proud of such high achievements of our students with the support of their teachers.